3. Focus on questions, not on answers. Word problems involving "four times as many as"
1) Haley had four times as many dollars as her sister. Together they had $60. How much money does Haley have? 2) Rachel had 5 times as many dollars as her sister, Nora. They had a total of $90. How much money did each of them have? The BAR MODEL is an excellent tool for helping children understand what is going on in these types of word problems. In (1), draw a bar for Haley and another for her sister. Divide Haley's bar into four parts, and make the other bar just one such part long. Now you will see that the TOTAL needs divided into FIVE equal parts — and from then on it is easy-peasy. 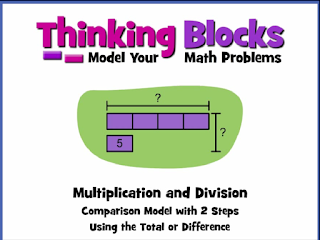 Additionally, you can use Thinking Blocks website to build such bar models INTERACTIVELY. Homeschool Buyers Co-op is running a FLASH SALE for the large Math Mammoth bundles — get them at 40% off! This sale ends on July 17, 2017. It's an interesting and encouraging read. 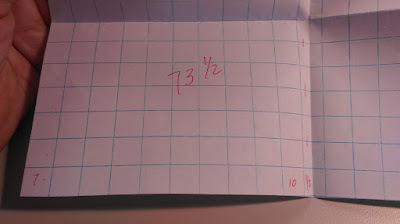 Thoughts about technology (no need for it at every turn), and how to teach those who don't love math, and how just a piece of graph paper can lend itself to a powerful learning tool...!